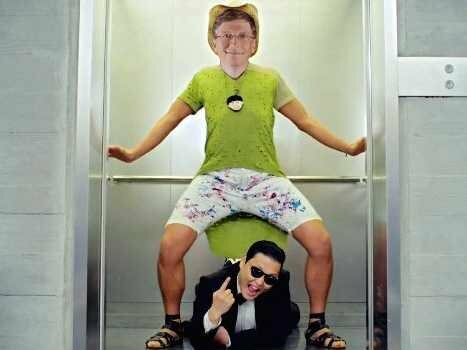 On Tuesday the big tech sites pointed out that Bill Gates and Psy, the artist behind YouTube breakout sensation “Gangnam Style” have become Twitter friends. Well that’s 100% true. It turns out that Psy is getting behind a movement to end Polio, for which the Bill and Melinda Gates Foundation are big supporters. According to Business Insider, Bill Gates took to the Colbert Report earlier this year to announce that Polio would be eradicated in six years. 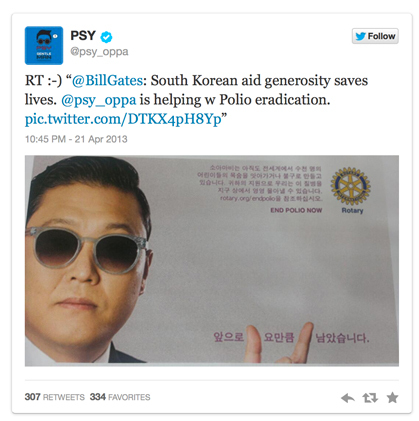 Psy’s involvement in ending Polio officially began in February when he became a celebrity spokesperson for Rotary’s “This Close” campaign. 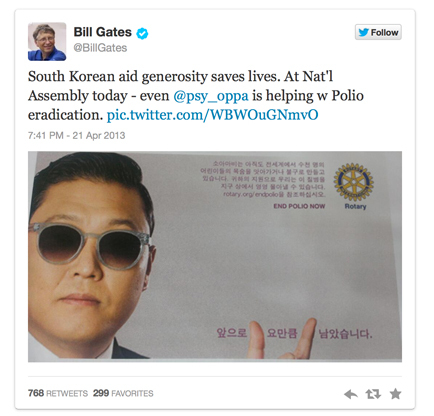 On Sunday Gates tweeted out an advertisement that Psy appeared in as part of that campaign. Later that evening Psy returned the favor with a retweet. Never Miss Your Kids Game With RUA Sports, And Raise Money For Their School Too!